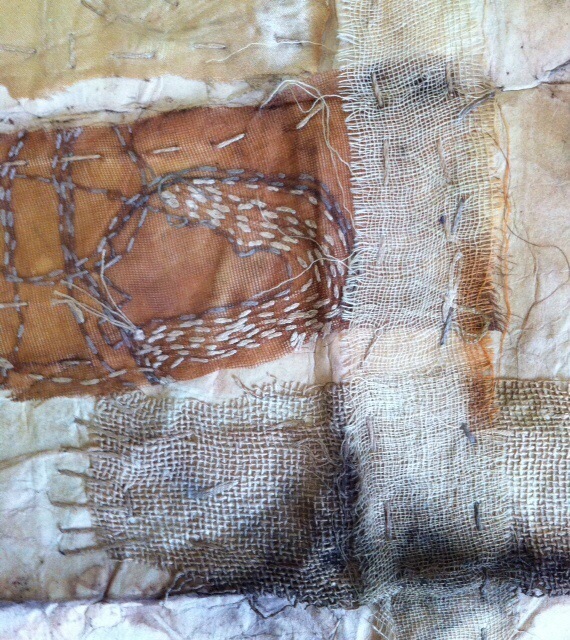 I have been thinking about the process of hand stitching and reading about ‘slow cloth’. There are a few blogs, websites to look at, but it seems that there are common threads (pardon the pun) concerning what people mean by the term, usually involving the type of fabric, environmental sensitivity, time and thought behind the work. 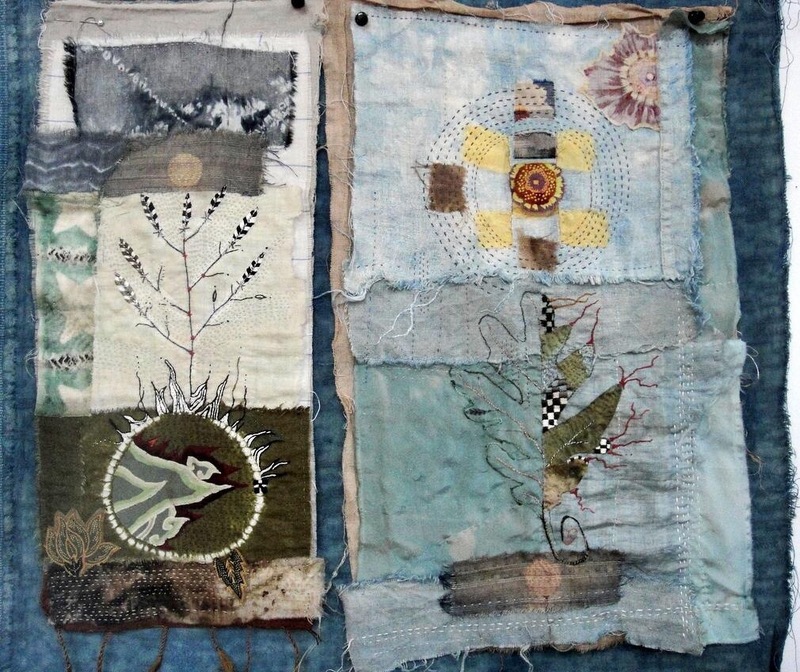 Perhaps one person most well known for this kind of work is Jude Hill who stitches from her sewing chair, and has a very distinct style and ethic to her work. 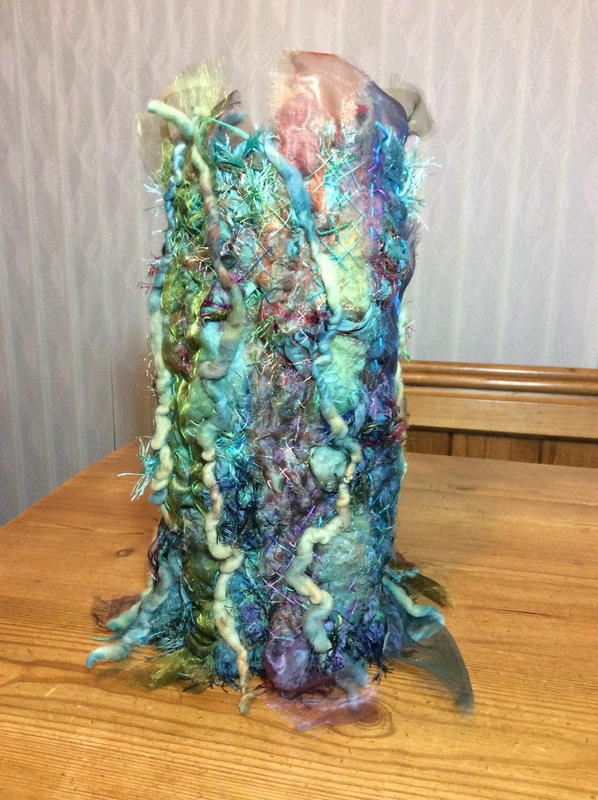 And India Flint with her natural and eco-dyed cloth. 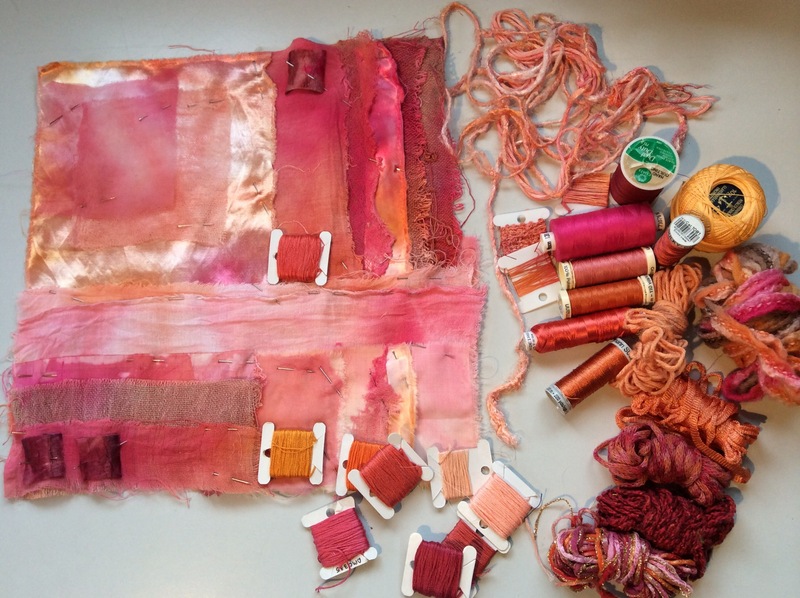 I really love these tones and earthy, natural palettes from the dyes and reused fabrics. Whilst I feel I have been doing some ‘slow’ work over the last couple of months sitting in my corner of the settee, it isn’t really the above. So what is it? Well another term might be ‘mindful sewing’ which describes more of an attitude rather than the types of fabric. I came across a small article highlighting a little book ‘Mindful Knitting: Inviting Contemplative Practice to the Craft’ by Tara Jon Manning. I don’t quite sit still enough for this either but I have been mind-full and mind-less with periods of easy ‘in the moment’ stitching. The Thing has thought me slowness, it has taken time and stillness and quite a lot of thought to get this far, it’s about done now, it just needs a framework in order to gain its shape. It’s been nagging me to find out what it wanted to be and get finished ( yes, it’s developed a personality of its own). But there were periods when I worked quickly as well – fast energetic bursts and plenty of ‘argh!’ moments, so I think for me, I imagine sewing feeling more like working as a composer would on a symphony with its slow, mindful movements and the more energetic and risky ones. I also like the term symphony as it’s about harmony – different tones and colours of the music ( or in this case fabrics and threads) coming together. 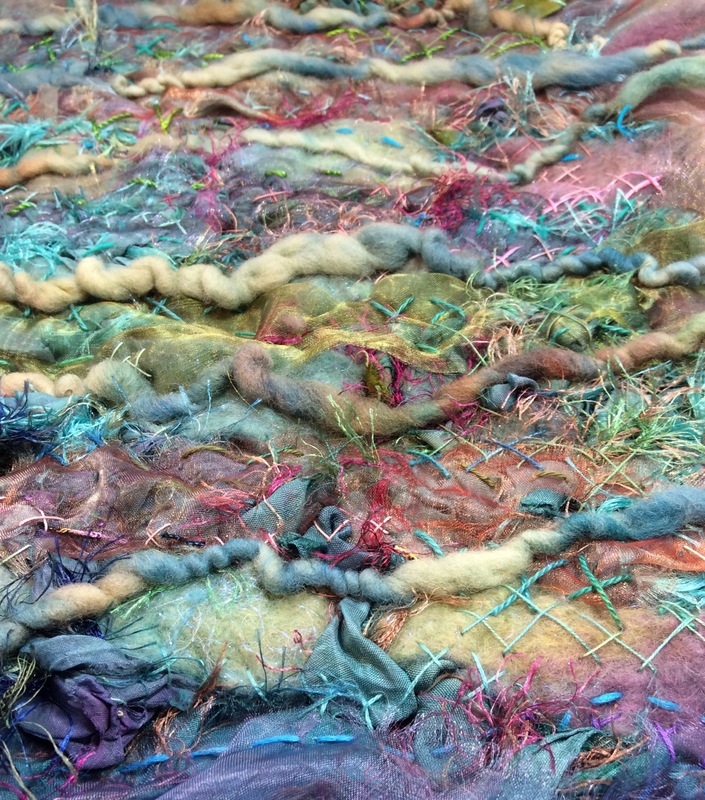 I have just started piecing some of the dyed natural fabrics from our last Experimental Textiles weekend. I love this stage, arranging and rearranging bits; it’s a slow movement. I’m going to enjoy playing musical chairs with this over Christmas. Debussy said that ‘music is the silence between the notes’. Maybe this is where slow cloth lives.